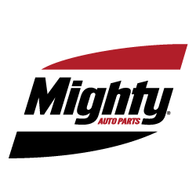 "Since 1963, Mighty has been the gold standard of parts distribution exclusively to the automotive service professional. Our trademark combination of high quality products, inventory management, superior personal service, and competitive pricing set us apart as the premier stocking supplier. In today's world when so-called customer service, support teams, and suppliers are often literally separated by oceans, it's good to know Mighty parts, service, technical support and business expertise you need are available from your local Mighty Representative. We partner with more than 25,000 repair facilities - from independents to large multi-bay specialty shops and tire centers. High-quality OEM parts, personalized local service and familiar faces that say, ""We're in this together,"" make Mighty a dependable partner to the thousands of owners, corporations and professional automotive repair shops." Mighty Auto Houston sources the highest quality auto parts from the world's leading OE manufacturers, serving as the lynch-pin between manufacturers and only professional technicians from coast-to-coast. Add to that the added-value services of professional inventory management and obsolescence protection that translate into millions in profits for Mighty customers–profits that might otherwise be missed. We serve the Houston area. Please give us a call at (833) 564-4489.